Alright armchair Sherlocks, now’s your time to shine. Napa Valley Wine Train, an excursion railroad that chugs through wine country from Napa to St. Helena, recently teamed with The Murder Mystery Co. to create a limited-run whodunnit express. It’s basically Al Capone meets Gatsby meets Agatha Christie meets a NorCal sunset (the experience starts at 6:30 and runs three hours), plus lots of premium wine. 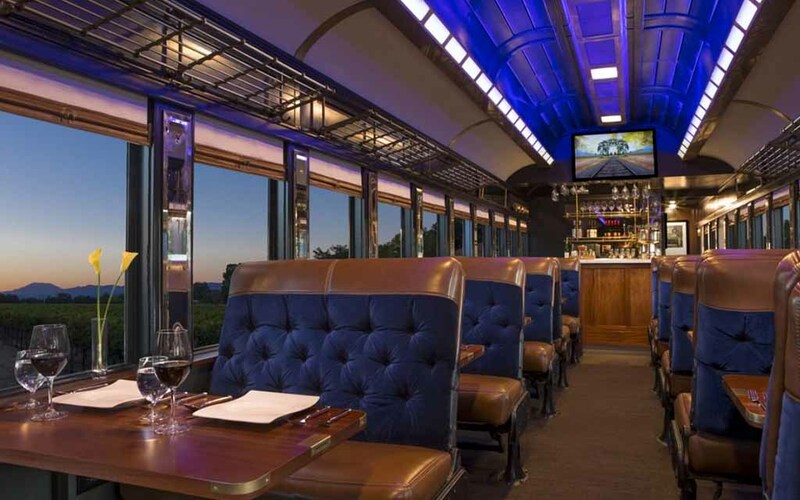 The train has 40 types of vino on hand, and your ticket includes a three-course dinner. If you’re able look up from your table setting, there should be a slew of clues and tells to help your carriage solve the murder … before the ride ends and he/she escapes. For more information on booking tickets, head here.